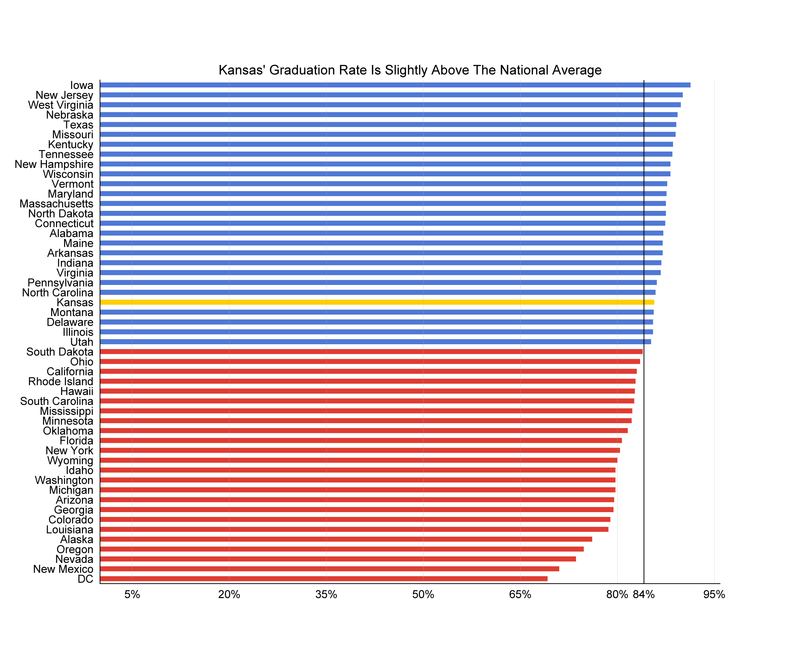 Brownback Wants A 95 Percent Graduation Rate, But How High Is Too High? Kansas has set the ambitious goal of seeing 95 percent of its students graduate from high school. Today, about three of every 20 students in Kansas fail to graduate from high school. Gov. Sam Brownback contends that in five years, only one will fall short. That would vault Kansas from the middle of the pack to a level no state in the country hits today. Education experts question if it’s realistic. The governor and the education department, they say, ask for too much too soon. After all, the early years of school weigh heavily. Work with kids learning their alphabet and colors — as much as those studying capitalism and algebra — can determine later who sticks it out. And some warn that pushing for too much too fast could backfire. Still, this week Brownback set the ambitious goal to hit the mark by 2023. The Kansas State Department of Education hopes to reach that 95 percent graduation by 2026. “Is it going to be hard? Yes,” said Kansas Education Commissioner Randy Watson. “I won’t say it was going to be easy, but we do think it’s a realistic, ambitious goal." The most recent figures show just shy of 86 percent of Kansas kids get their high school diplomas. That’s slightly above the national average, which is at a record high. Iowa leads the nation at 91.3 percent. “Without question, it’s going to be a tall order,” says Craig Elliot, the chair of Wichita State University’s District Leadership program. Note: the black line shows the average national graduation rate for 2015-16. Experts don’t know what the ceiling is for graduation rates. There will always be some people who don’t graduate, said Russell Rumberger, director of the California Dropout Research Project and a professor at University of California, Santa Barbara. If 95 percent is within reach, he said, it won’t come in the next five years. “That’s less realistic, I think, to do it in that short amount of time,” says Rumberger. It’s simply hard to deliver better graduation rates quickly when so many of the factors that make a difference start at the beginning, even preschool. “That’s not to say there are not things that can be done in high school to get the graduation rate up,” Rumberger said. “I’m just saying to reach a really high number is going to involve more than just changes in high schools." A rush to increase the graduation rate too quickly might actually hurt. 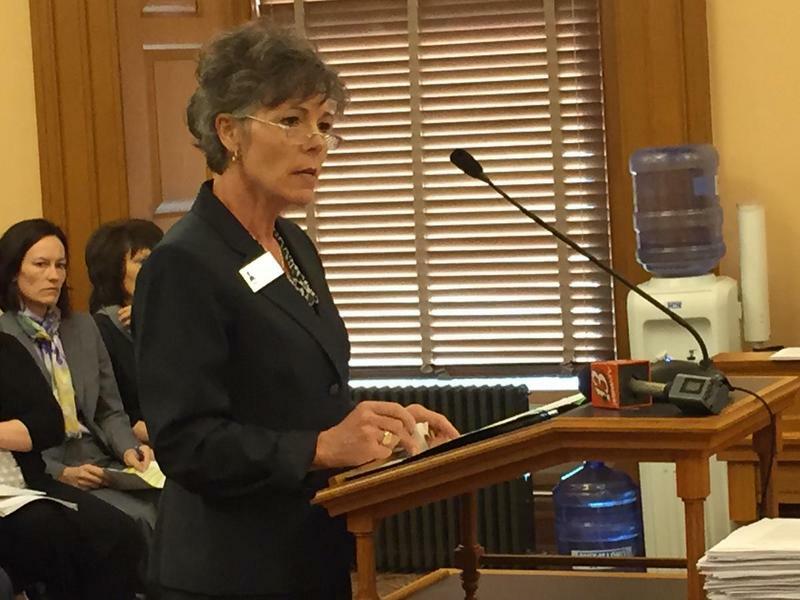 Watson, the education commissioner, told the Kansas Board of Regents that a fast upturn in graduation rates might signal the system is being gamed. It could reflect simply reflect a drop in standards — perhaps in response to the pressure to meet an unrealistic goal. Yet Watson said the target could be reached by 2023, without cheating. By tracking other measures, such as how prepared students are for college, educators can keep the numbers honest. Whatever happens in classrooms, other factors will weigh heavily. For instance, home and health issues can lead to multiple absences, a strong indicator that a student will dropout. All those complications make reaching such a high graduation rate difficult. Even large-scale change might not be enough. “It's very, very difficult,” said Elaine Allensworth, the director of the University of Chicago Consortium on School Research. “I’m still not sure if you can achieve it." 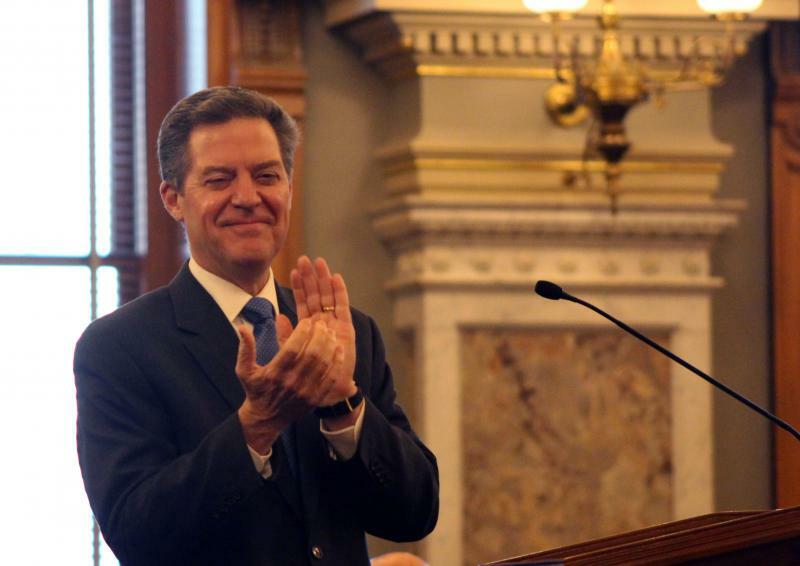 Brownback said the state can add $600 million over the next five years — without a tax hike. 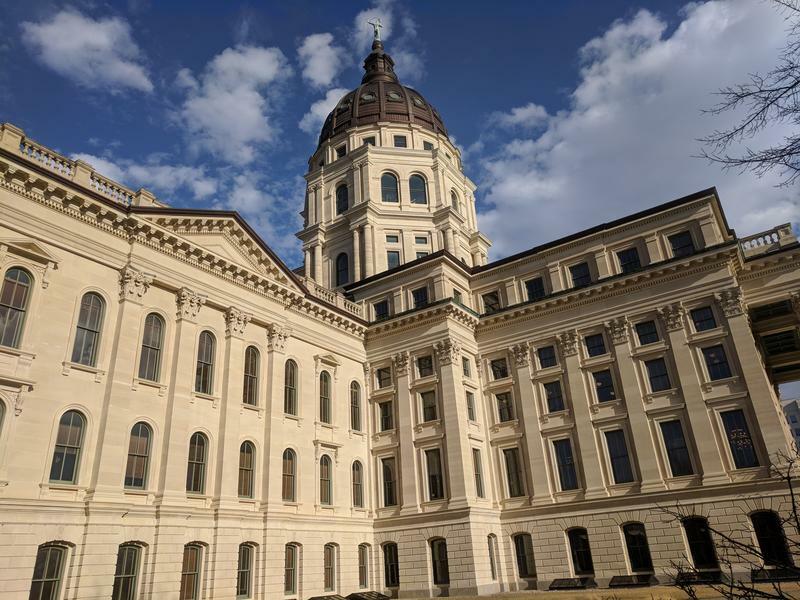 A Kansas Supreme Court ruling saying the state must spend more on schools could require lawmakers to find hundreds of millions of dollars. With some lawmakers saying a tax hike for education remains off the table, that financial hunt won’t be easy. Legislators rolled back Gov. Sam Brownback’s signature income tax cuts just last year. It was a monumental task, which ultimately required lawmakers to override a veto from the governor. The fight stretched the session to a tie with the longest in state history.